From 2008 to 2012, health-care spending in the United States grew just 4.2 percent a year, the slowest growth the country has seen in five decades. The slowdown has been cited by President Barack Obama as evidence that cost-containment provisions of the Affordable Care Act were helping put a brake on health care inflation. Skeptics contend the Great Recession that began in 2008 has played a bigger role. They predict that as the economy recovers, health care costs will take off and will again soon race ahead of general inflation. I spoke with UW Associate Professor Anirban Basu, a health economist in the School of Public Health’s Department of Health Services, to get his take on what factors are driving health care costs and where spending is likely to go in the coming years. Basu is especially interested in understanding the role information plays in decision-making, in promoting patient-centered care and in developing methods to evaluate medical technology and to prioritize research. Q: The growth of US for the past four years has been the lowest in five decades. Was this due to the recession or to health-care reforms implemented as part of the Affordable Care Act? I think it was a mix of both. The recession definitely had a big effect because it drove down demand for health care. People who lost their jobs often lost their health insurance. To save money, many of these people put off purchasing health services. Even people who have insurance often have to pay a fair amount in coinsurance and co-payments. They, too, were more likely to put off getting medical care. That said, specific provisions in the Affordable Care Act are designed to make structural changes in the U.S. healthcare system. Those may already be having some effect and should have a greater effect on the growth of health spending over the long term. These initiatives take two approaches: one, changing how healthcare is delivered, and, two, changing how health services are reimbursed. Q: What would be an example of how healthcare delivery might be reformed to slow the cost of care? A good example would be Accountable Care Organizations, or ACOs, being set up by Medicare as demonstration projects across the country. ACOs are designed to encourage healthcare teams to work together more closely, so that care is less fragmented and more integrated. The idea is that the improved coordination will both improve quality and reduce costs by keeping patients healthier and reducing their need for hospitalization. If providers successfully implement an ACO model and show that they have improved quality and reduced costs, they are given a share of the money saved. This creates a win-win situation. Q: What sort of payment reforms are being implemented? 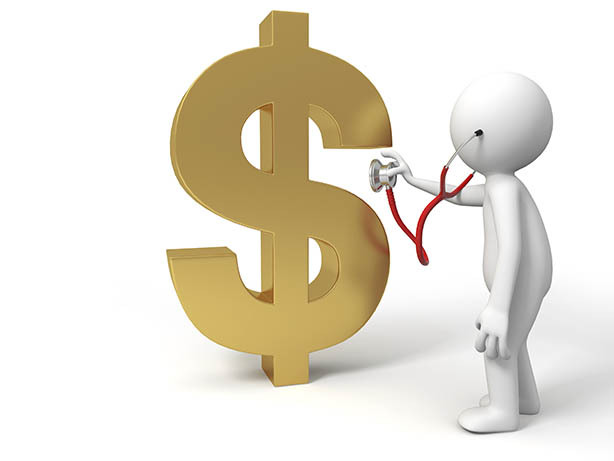 Bundled payments are a good example of the type of payment reforms that are being introduced. Unlike the traditional fee-for-service payment model in which the provider charges for each service he or she provides, with bundled payments providers are paid one lump sum to provide care for a patient. This arrangement forces providers to figure out a way to take care of the patient within the lump sum. The hope is that this will induce providers to make their care more cost-effective. The problem is that bundle payments puts all the risk on the provider, and there is a lot of worry it will drive providers away. For the approach to work, you need to provide an incentive for providers to participate. For example, Medicare introduced bundled payments for post-acute care. These payments cover a patient’s care for the 90 days after discharge from the hospital. The goal was to provide an incentive to keep these patients from having to go back into the hospital. But some providers ended up with sicker, more expensive patients and were losing money. To keep those providers in the program, Medicare had to come up with additional payments to cover the care of these expensive outliers. Hopefully, by trial and error, we will be able to come up with an equilibrium of incentives that both promotes more efficient delivery of care and helps contain cost growth. Q: How do you achieve that equilibrium? That is a major challenge for healthcare reform: How do you create delivery systems that slow the cost of care, yet provide physicians with enough profit to make them willing to participate. One of the main areas of my work is trying to understand how physicians learn about a product and what incentives do they need to adopt them into practice. If you push information out about how to improve quality of care, for example, but provide no incentives to use that information, you get nowhere. Similarly, if you provide incentives to improve the quality of care but don’t provide the information needed to accomplish those improvements, you’re not going to succeed. What you need to do is generate good information and at the same time provide incentives that induce providers to seek out that information and apply it. You can push out information as much as you like, but if there are no takers, then your effort will prove futile. You have to work on both ends of the equation. Currently, a number of models, like ACOs with their shared savings, appear to be working. But we’re in a learning period right now. It’s an exciting time because researchers have an opportunity to improve healthcare quality along with addressing the growth in healthcare costs in this country.